Larry Ossei-Mensah is a Ghanaian-American curator and cultural critic who uses contemporary art and culture as a vehicle to redefine how we see ourselves and the world around us. He has organized exhibitions and collaborations with artists at commercial and nonprofit spaces, including: Firelei Báez, Ruby Amanze, Hugo McCloud, Brendan Fernandes and Peter Williams. 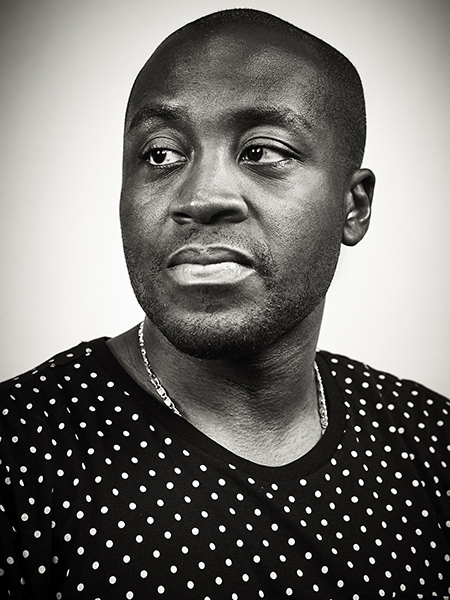 He has advocated for and written on some of the most dynamic visual artists working today: such as Derrick Adams, Mickalene Thomas, Kehinde Wiley, Lorna Simpson and street artist JR. Ossei-Mensah is a co-founder of the 501c3 ARTNOIR. He recently served as the Critic-in Residence at ART OMI and currently serves as a mentor in the New Museum’s incubator program, NEW INC. He recently opened a solo show of Allison Janae Hamilton’s work at MASS MoCA. This summer, Ossei-Mensah will be co-curating a group show in Rome, Italy at Anna Marra Contemporanea featuring Derrick Adams, Firelei Baez, Abigail DeVille, Paul Anthony Smith, Alexandria Smith and William Villalongo.